Elegant smile necklace. 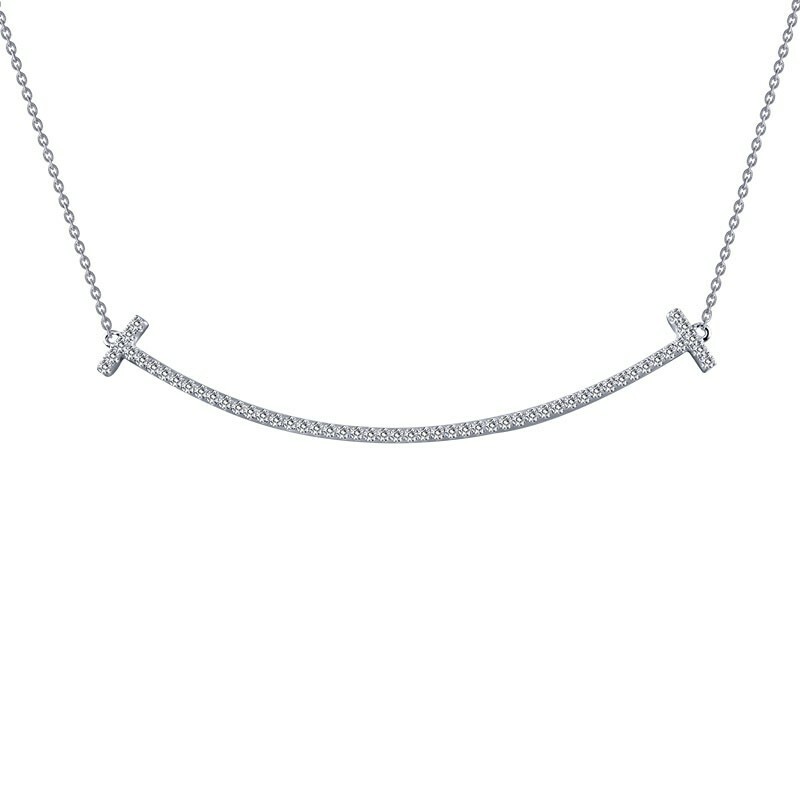 This classy curved bar necklace is set with Lafonn's signature Lassaire simualted diamonds in sterling silver bonded with platinum. The necklace is approximately 17" in length.